Luke and I decided to head down to the clumps of aspens down by the shore and play around with some reflection imagery. It was partly cloudy, and slightly windy which made for some interesting light play on the trees. Instead of making your standard reflection shots, I decided to try out some abstract/painted reflection images. All three of the photos here were taken when the light was breaking through the clouds, and it was fun getting the timing down precisely as the sun would come out for 5 seconds, then disappear behind the clouds again. I used a polarizer in all of the shots to slightly increase the reflections and a 2 stop graduated filter to hold back the white clouds in “Reflections”. I cropped the last photo down to a 4:5 aspect ratio because it eliminated some rocks in the frame that I felt took away from the composition. It is also my favorite reflection photo from the trip. “Reflections” Wedge Pond, Kananaskis Country, Alberta. 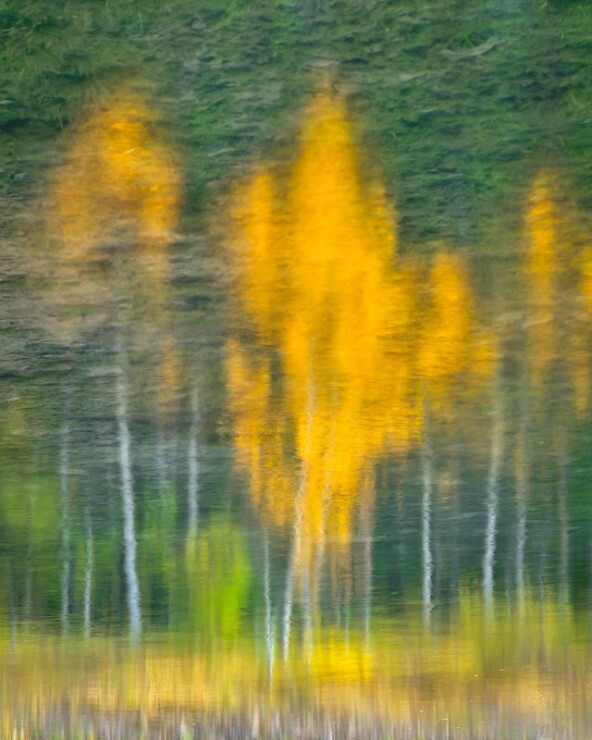 “Autumn Reflections” Wedge Pond, Kananaskis Country, Alberta. 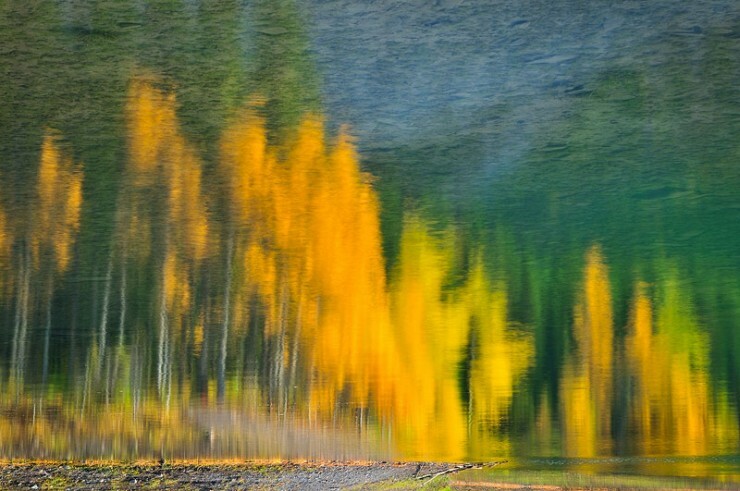 “Painted Reflections” Wedge Pond, Kananaskis Country, Alberta. 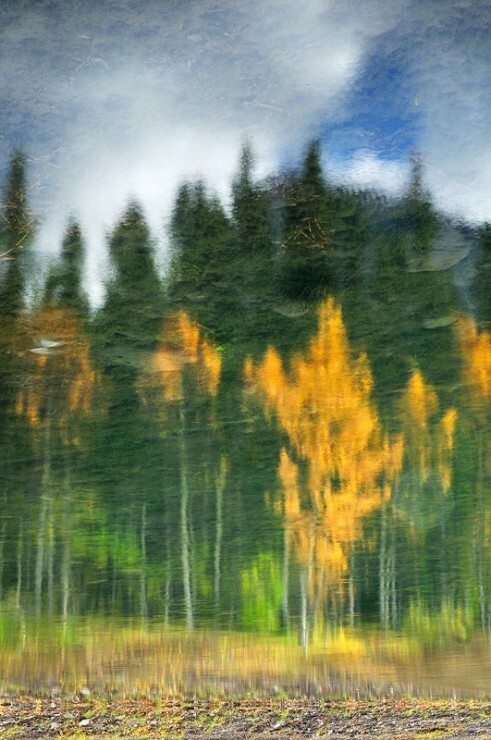 Written by Mike Isaak, posted on December 11, 2010 at 10:01 am, in Kananaskis and tagged abstract, alberta, canada, reflections, rocky mountains. Permalink. RSS feed for this post.